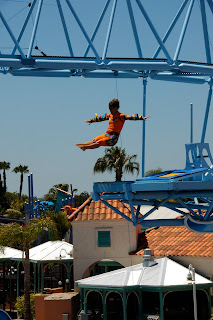 Fresh Angeles: SeaWorld's Blue Horizons aka Coolest Show of Summer! 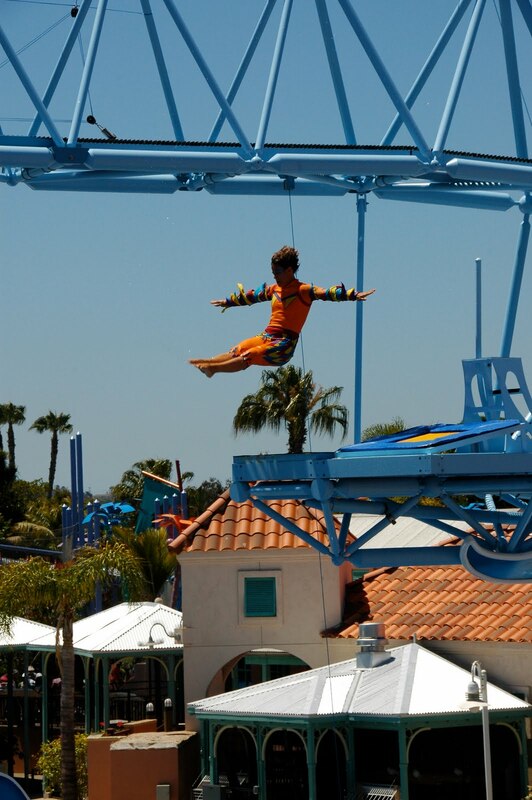 SeaWorld's Blue Horizons aka Coolest Show of Summer! JACK HANNA was also on hand to Cut the Ribbon before the show during the opening ceremony & he introduced us to some of his friends. My favorite was the baby joey in the pouch. There was a packed house, everyone had to get a wrist band ahead of time, for the show. It was definitely the Main Attraction of the day, and it did not disappoint! BLUE HORIZONS has all of the elements we've come to love about SeaWorld Shows & so much more! It combined so many different things, from the beautiful set, to costumes, olympian diving, exotic birds, etc. But instead of me, not doing it justice by trying to describe it for you... I think my photos will give you a better idea of this theatrical aquatic spectacular! At the end of the show, the audience gave it a standing ovation. It looked like it took a lot of hard work on everyone's behalf and it really showed! This is why I'm calling BLUE HORIZONS a MUST SEE SHOW of the SUMMER! Thank You so much to our SEAWORLD FAMILY for making this all possible for us... We will never forget it!!! We will see you again this summer!!! Labels: SeaWorld "Blue Horizons" "San Diego" Family Summer Events WaterPark Dolphins "Pilot Whales"